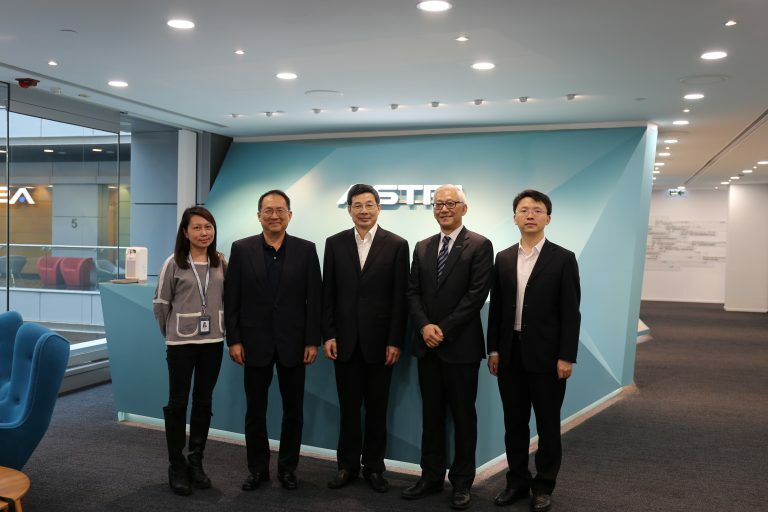 Mr Zhuang Rongwen, Vice Director, Cyberspace Administration of China, visited ASTRI on 13 April 2017 and witnessed various R&D initiatives of the institute including Next Generation Network, Smart City, and Financial Technologies. 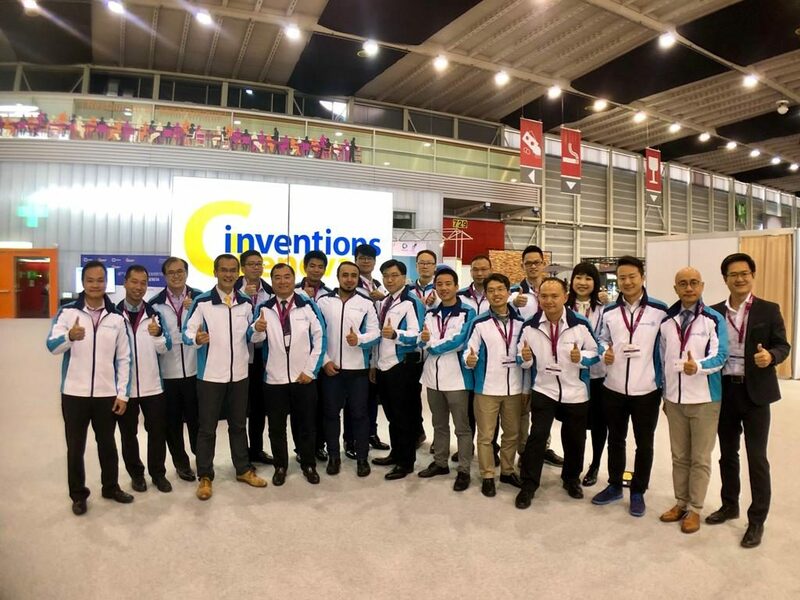 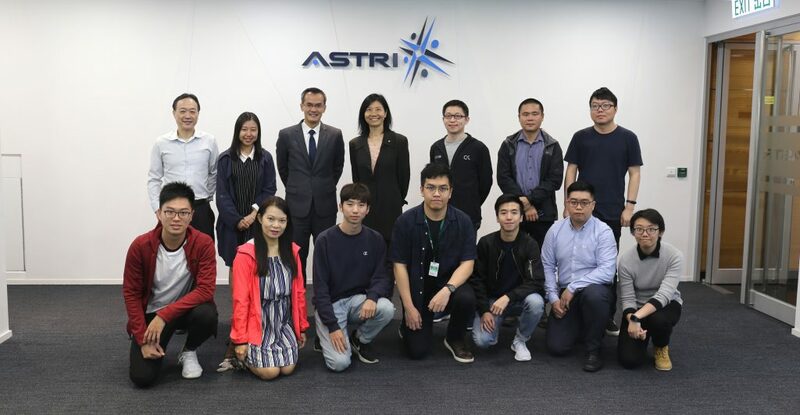 Mr Rongwen met with ASTRI’s researchers working in ASL, Cyber Range and the Innovation Centre – receiving updates and demonstrations on the latest developments and applications in these areas. 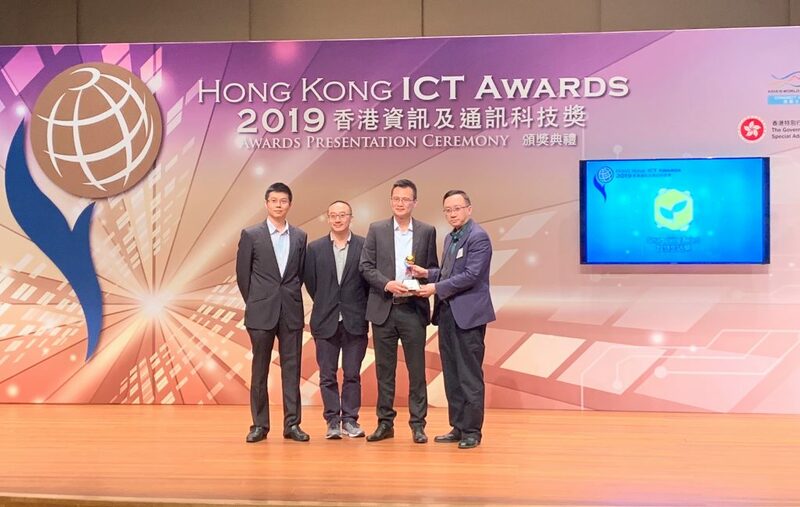 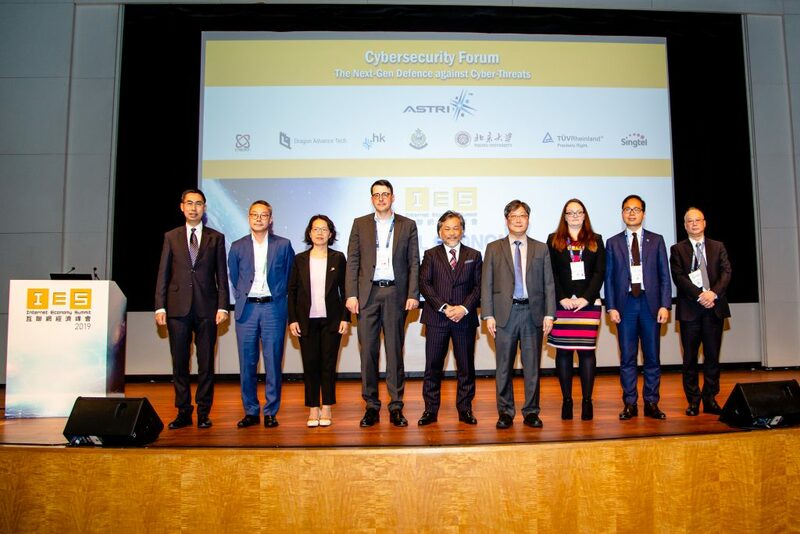 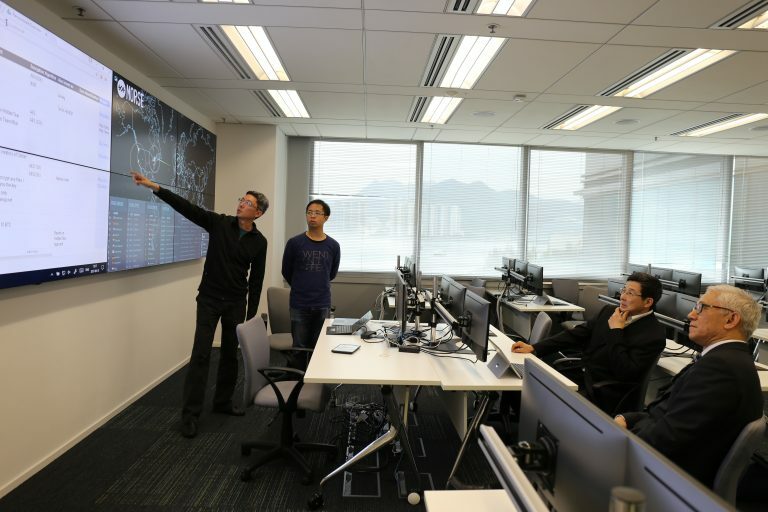 From left to right, they are Ms Eunice Cheng, Head of Public Affairs, ASTRI; Dr Justin Chuang, Vice President, Next Generation Network; Mr Zhuang Rongwen, Vice Director, Cyberspace Administration of China; Dr Frank Tong, CEO of ASTRI and Mr Yu Mingkai, Secretary of Vice Director, Cyberspace Administration of China.